I purchased these ceiling medallions from Architectural Depot in white. 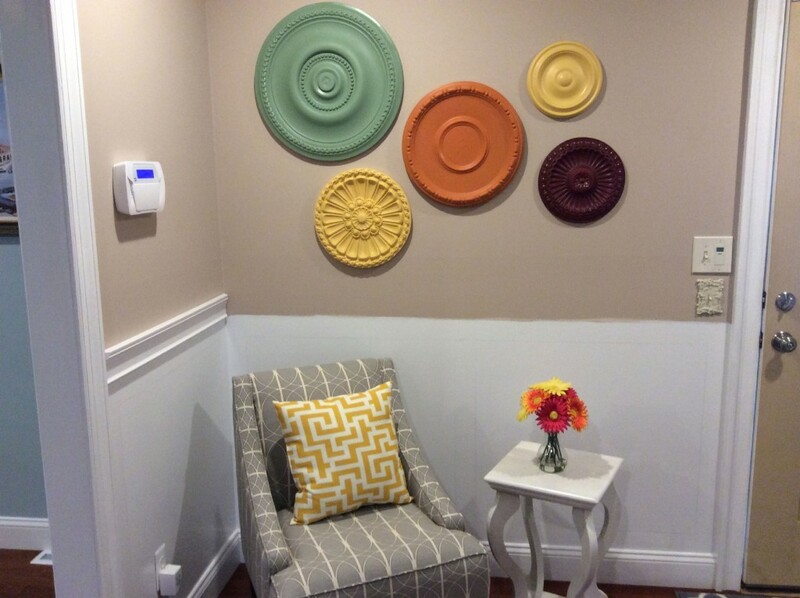 I spray painted them and hung them with Command Strips in my clients entryway. Looks fantastic and it’s one of a kind artwork! 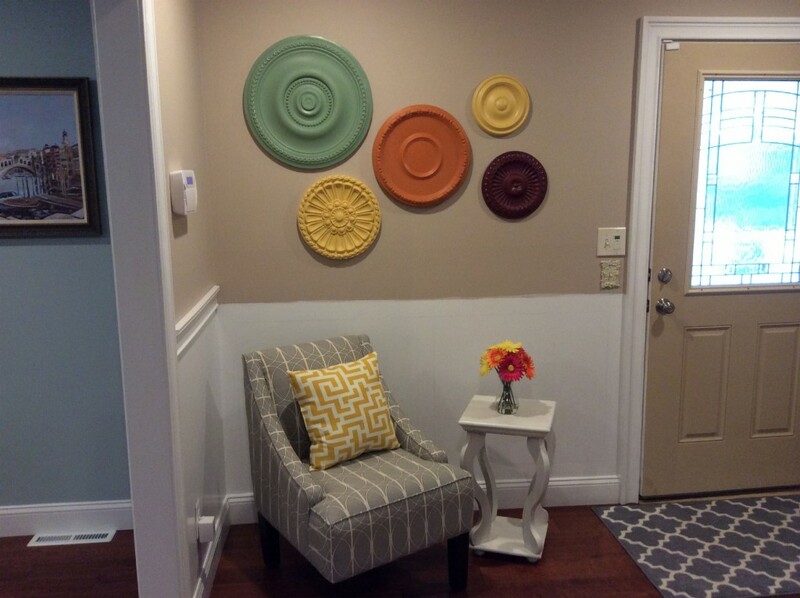 We love the combination of color selections! Great job Laura!